New Delhi: India needs to raise investment in the health and education sectors for capacity building as well as creating public awareness to deal with food-borne diseases, according to WHO India representative Henk Bekedam.He stressed on strengthening surveillance and inspection system to not only detect but respond to food-borne diseases. “India needs to invest in social sectors like education and health. Health is not a political priority. 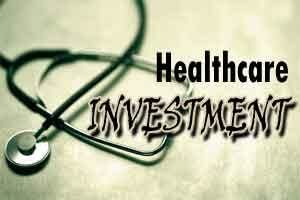 India still spends only 1.2 percent of the GDP in health,” Bekedam said. He pitched for raising public investment to strengthen laboratory capacity to detect foodborne diseases. Bekedam was addressing a public lecture on Reducing Burden of Food-Borne Illness: Lessons from Other Countries organised jointly by food regulator FSSAI and CHIFFS, which is CII-HUL initiative on food safety sciences. He stressed on creating enabling the environment for the food business to align their operating activities with global standards. Apart from foodborne illness, Bekedam said an unsafe food is a major contributor to the burden of malnutrition in India and said 50 percent of malnutrition is not because of lack of food. He said food-borne diseases will come down if cities are kept clean. “If Bhopal city can be clean, why can’t other cities be”. Bekedam said the safety of street food remains a challenge. The WHO official suggested that India should conduct a national study on the burden of food-borne diseases and create awareness through educational training to prevent this. FSSAI Chairman Ashish Bahuguna said the authority would modernise the government food testing labs across the country in the next two years.